Akshada, which means ‘God’s blessings’, is a unique public-private partnership between the Government of Rajasthan, Tata Trusts and The Antara Foundation. The program aims to significantly improve Rajasthan’s status in maternal and child health. Akshada program focusses on the critical ‘1000 days’ between conception and age two. It is designed to influence the most critical markers of maternal and child health such as maternal anaemia, neo-natal and infant mortality and immunization. Our interventions in the Akshada program are classified into three broad areas. The first set of interventions targets every aspect of healthcare service delivery. Second is a set of interventions targeted directly at the Community to help shape the demand for healthcare services. Finally, the program also has interventions that help build an enabling environment for the overall suite of interventions. 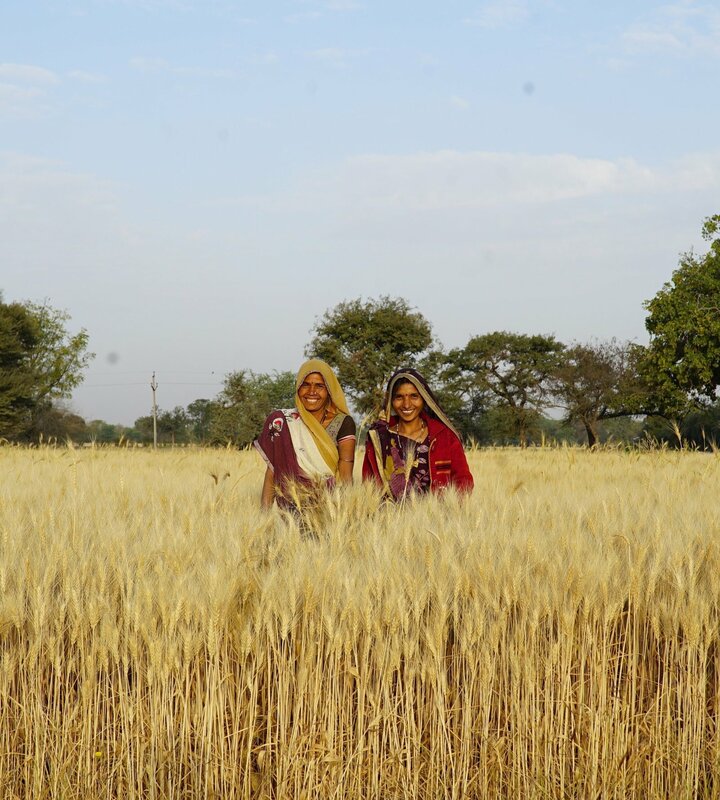 Three women frontline workers are responsible for delivering health and nutrition services in India’s villages. They are the Auxiliary Nurse Midwife (ANM), the ASHA (Accredited Social Health Activist) and the Anganwadi worker (AWW). Each of them has distinct but related roles and serve the same area. Yet, there is little collaboration between them. The AAA (ANM-ASHA-AWW) platform brings them together. The app enables instant real-time data sharing between the AAA frontline workers. This one-of-its-kind solution was adopted by the Government of Rajasthan for scale-up in 2017. We suggest that you begin by watching this video. Frontline workers (AAA) maintain numerous, voluminous registers. For instance, the Anganwadi Worker alone has eleven. Several of them contain repetitive fields. Naturally, AAA saw registers as a burden. We saw it as a job-aid. We worked with designers and government functionaries to make the Auxilary Nurse Midwife’s service delivery register easy to use. We eliminated repetitive columns, introduced a logical sequence and made it visually appealing. It helped to save time, improve data quality and morale of health workers. In April 2017, the new register was adopted by the State Government for roll-out across the state. This effort also formed the basis for the integrated AAA app. Each Community Health Centre (CHC) caters to approximately eighty thousand people. Our nurse mentors work to ensure that labour room facilities and personnel at high case-load delivery points are well-equipped to handle deliveries. Facility enhancement: Includes labour room organisation, ensuring availability of essential drugs and equipment and proper display of posters and educational material. Skill building: Observation and training of nursing staff to enable them to enhance their skills. Auxiliary Nurse Midwives (ANMs) typically serve a population of five thousand across few villages. Some of them have to travel to inaccessible areas. To ease their burden and improve efficiency, six ANMs were provided with scooties in December 2015. The event was presided over by the Hon. Chief Minister, Smt. Vasundhara Raje. We work with adolescent girls to mobilize community demand for health services. Participants are trained on maternal and child health issues. Then, they visit beneficiaries’ houses and reiterate key messages. This intervention is in its infancy and we’re working on developing a scalable model. We mobilise adolescent girls to act as change agents who stimulate community demand for Maternal and Child Health and Nutrition services. Frontline health workers find it difficult to conduct frequent follow ups with beneficiaries. Adolescent girls spread across villages can reiterate simple, but vital messages within their neighbourhoods. In the process, the girls learn and grow in confidence. The program is being delivered through the school system, with the support of teachers and the AAA. We are seeing immense energy and enthusiasm among the girls. "I am surprised that my pregnant neighbour doesn’t know when immunization is happening in the village. I have now started visiting pregnant women to share key health messages," says 15-year old Tinkle Meena from Chhatarganj village in Rajasthan. Tinkle is one of hundreds of girls who are part of Jagori Kishori. Since the adolescent girls are regularly in touch with the AAA, they can alert them of any cases requiring special attention. In Harnavada village, Ram Kunwar keeps a watchful eye on the women and children of her community, making sure to record insightful and important observations. Off-late, she’s noticed one particular child constantly exhibiting signs of a possible deformity and experiencing constant bouts of illness. Upon some questioning, she found out that the child had not been vaccinated in time. There were also some vaccinations that had been completely missed out. Concerned, she has brought this issue to the notice of the ANM, who hopes that she will be able to help the little seven-month old. Without her notification, the ANM has admitted that she might never have found out about this issue, as she herself is an outsider in the village. Now that she has received the information, she is looking forward to work with the AG to actively monitor the child. Driven by her own small success story, Ram Kunwar has expressed an interest in carrying out with the program even after she leaves school. In December 2016, Stanford University, the Govt. of Rajasthan and The Antara Foundation came together to ink a historic MoU. The MoU proposes collaboration between the three parties for enhanced quality and greater access to medical education in Rajasthan through high-quality digital content produced by Stanford University’s Digital MEdIC initiative. Stanford lessons and content have been integrated with the Jhalawar Medical College’s curriculum. Engaging audio-visual content has also been made available to frontline workers in Rajasthan to aid them in educating beneficiaries. The program is deploying several innovative and path breaking interventions that are designed to be scaled up in partnership with the Government-run public health system. This ensures not only rapid scale-up during the period of the Akshada program but also the sustainability of the program in future. While there is a lot of room for improvement in outcome indicators for Rajasthan, the state is taking progressive steps to emerge as a beacon for maternal and child health. Under the program, over 2,700 villages have been mapped in Jhalawar and Baran districts. 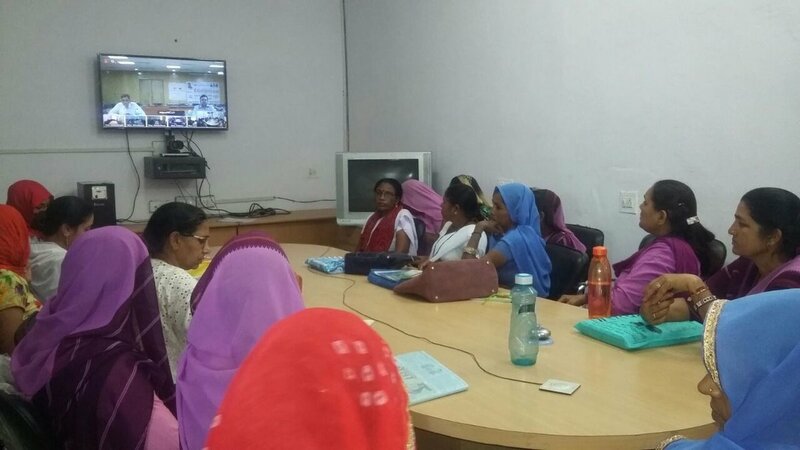 Frontline workers in every village across Rajasthan are being trained on the AAA platform currently via videoconferencing. Along with quality and coverage, speed is all-important in our scale mantra. Follow this space to know the latest developments.